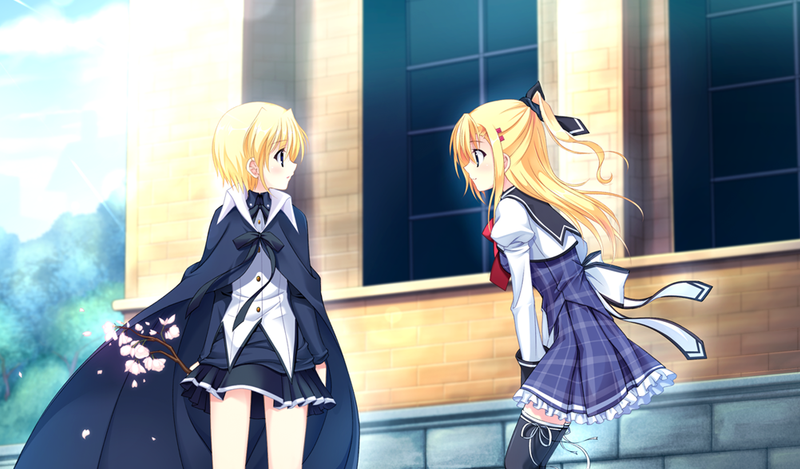 When players first meet Sakura in Da Capo, she is a heroine with her own route, though her story has a bittersweet end. Born to the Yoshino family, who created the Everlasting Cherry Blossom on Hatsune Island, she inherited her grandmother’s magical power. When she was younger, she fell in love with her younger cousin, Jun’ichi, but she was forced to leave Japan and study abroad in order to hone and control her magical talents. Before leaving Hatsune Island she made three promises to Jun’ichi: that they would reunite again, that they would help each other when in trouble, and that they would always love each other. Since the first Everlasting Cherry Blossom was planted for Sakura, it favored her wishes, even though it only granted the purest wishes of others. Because it favored Sakura, it granted her an unaging body when, upon parting with Jun’ichi, she wished to always remain the Sakura he knew. 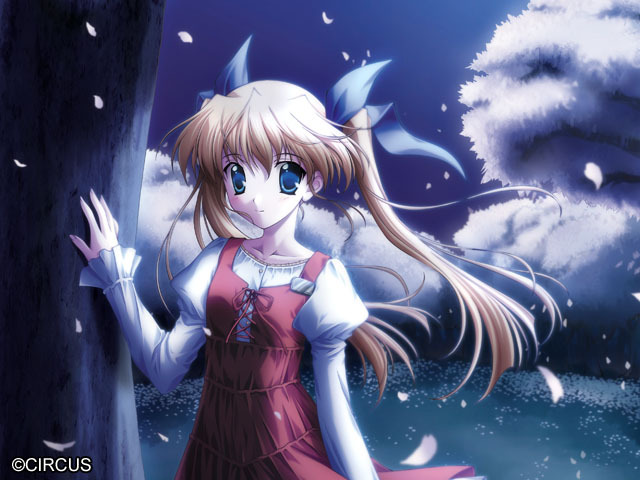 Years later, when the unchanged Sakura finally returned at the start of Da Capo, Jun’ichi had fallen in love with his step-sister, Asakura Nemu. Though Sakura’s affections remained the same, her wish to be with Jun’ichi proved disastrous, as the magical tree began killing Nemu to grant Sakura’s desire. In the end, Sakura chose to the kill tree planted for her sake, in order to protect Jun’ichi’s happiness with Nemu, leaving herself alone. Taking a branch of the Everlasting Cherry Blossom with her, she set off to study abroad to research how to recreate it for the island. After hitting dead ends and only reaching incomplete version, she returned to Hatsune Island, lonely and sad, and planted the new Everlasting Cherry Blossom to try and find happiness of her own. Unable to let go of what could have been, she wished for the happiness she would never have—the son she would have had with Jun’ichi. 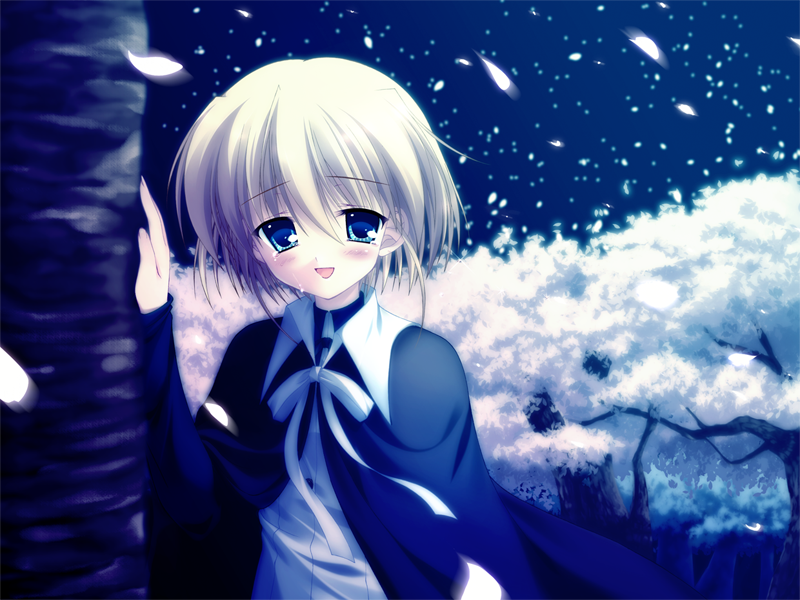 The tree grants her wish, and her newfound son, Sakurai Yoshiyuki, becomes the main protagonist of Da Capo 2. While he cares deeply for Sakura as well, he too grows very close to Jun’ichi’s granddaughters, Otome and Yume. 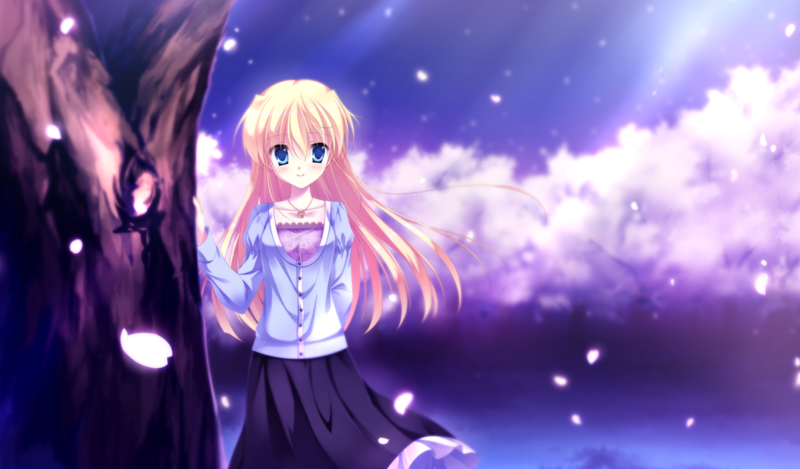 As Da Capo 2 progresses, problems with the incomplete Everlasting Cherry Blossom become apparent—it grants everyone’s strongest wishes, regardless of their purity, causing wishes for ill to be granted and leading to excessive accidents and harm. Otome makes the hard decision to kill this second Everlasting Cherry Blossom, but with its death, all of the wishes it granted start to come undone—causing Yoshiyuki to begin fading from this world. Once again, though, Sakura chooses to sacrifice herself—fusing with the tree to keep Yoshiyuki, Sakura’s greatest happiness and Otome’s most beloved, from vanishing from the world. It is after this, that Sakura finds herself transported back to 1950s London, missing her memories. When she appears, she is discovered holding a cherry blossom branch by Ricca Greenwood and Katsuragi Kiyotaka, who both feel an inexplicable familiarity toward the young girl—almost as if they were family. Good article. I played both games and really liked Sakura, but I still learned things in this article. The most important character in the series… her scene near the end made me cry a lot. Thanks for this. It’d been a while since I read 1 and 2 and this is good to know as 3 is coming out today.